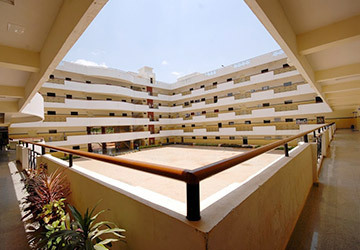 Sir M Visvesvaraya Institute of Technology (Sir MVIT) is an Institute of repute in the state of Karnataka founded by Sri Krishnadevaraya Educational Trust in 1986. The institute offers nine B.E. degree programs in Civil, Mechanical, Electrical & Electronics, Electronics & Communication, Computer Science & Engineering, Industrial Engineering & Management, Telecommunication, Information Science and Bio-Technology and four Masters Programs in Computer Applications, Business Administration, Computer Integrated Manufacturing and Electronics. 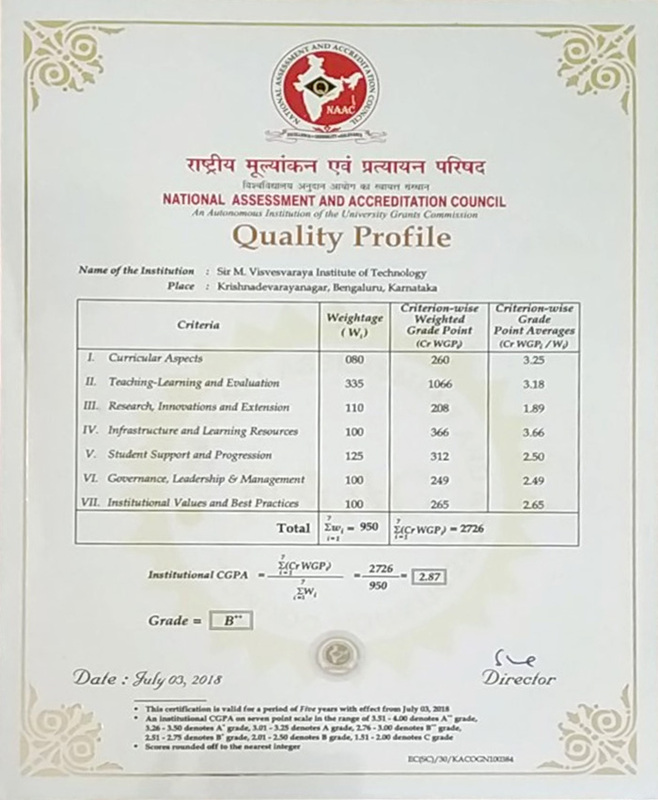 The Institute is affiliated to Visvesvaraya Technological University and approved by All India Council for Technical Education, New Delhi and is accredited by National Board of Accreditation, New Delhi. Sir MVIT is an ISO 9001:2008 Certified Institution. Department of Mechanical Engineering, Department of Electrical & Electronics Engineering, Department of Electronics & Communication Engineering and Department of Biotechnology are declared R&D centers by the university. Highly qualified & dedicated Faculty. Strong academics, Consistent University Ranks, Very high percentage of distinctions. Focus on Soft skills and Personality Development. Digital classrooms, well-equipped Labs, Auditorium & Seminar Hall. Industry Interactions & visits, internship program and live projects. R&D projects funded by various agencies including AICTE, UGC, DST, VTU, MHRD etc. Strong ties with our Vibrant Alumni. Excellent Indoor and Outdoor Sports Facilities. Sir M. Visvesvaraya Institute of Technology is committed to provide infrastructure and other support for quality and product development.